Good news for ArcIMS developers like us. 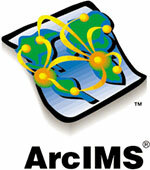 ArcIMS 9.1 Service Pack 1 is out and we can finally upgrade both our ArcIMS and ArcSDE. Looks like some of the issues with the Metadata Server are fixed according to the “Issues Addressed” document. I saw the patch on the revised ESRI Support pages so it does look like the redesign does work well.